There's a new coffee on 34th Street. I rarely get through a 34th Street shopping trip without a coffee stop, so having an organic source pop up on the west end of the street was like Christmas in May. 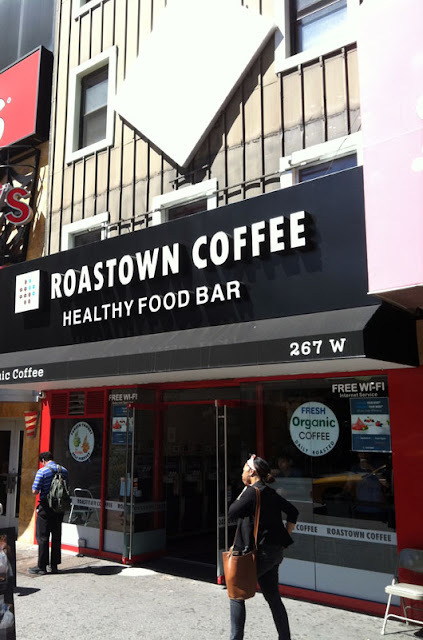 Roastown coffee, find it on the northeast corner of W. 34th Street & 8th Avenue. Next time, I'm going during lunch hour because the salad bar looks fantastic. Those avocados were begging to be photographed. 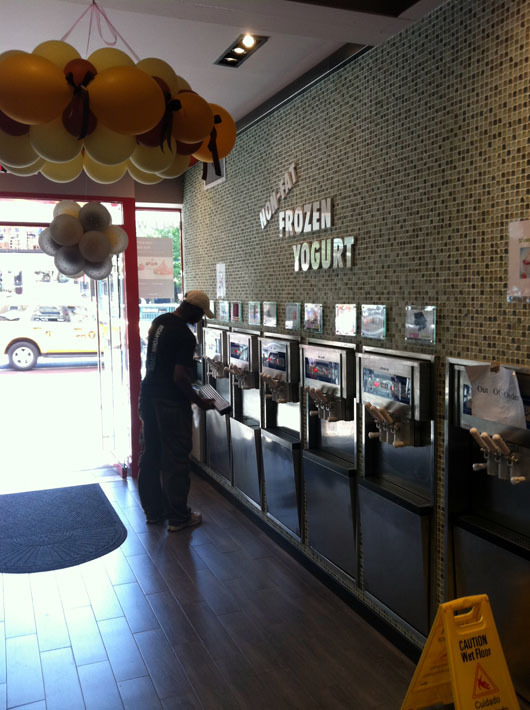 A fro-yo wall? A variety of fresh fruit options, sushi, seaweed salad, and edamame? We're getting healthy on 34th Street, which is crucial for us shoppers looking for a light bite in-between dressing room excursions. But don't visit just for lunch because this healthy food bar is open 24 hours a day. That does look fantastic! 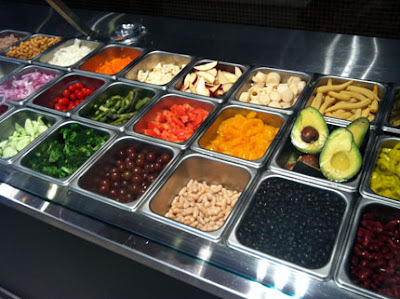 I love looking at salad bars - they are so colourful!